Revealed alongside its first piece of sporty smart clothing at CES, Polar has announced that the H10, the natural successor to the Polar H7, is now available for $89.95. The strap features a new measuring algorithm and includes extra interference-preventing electrodes to ensure you get the most accurate data. 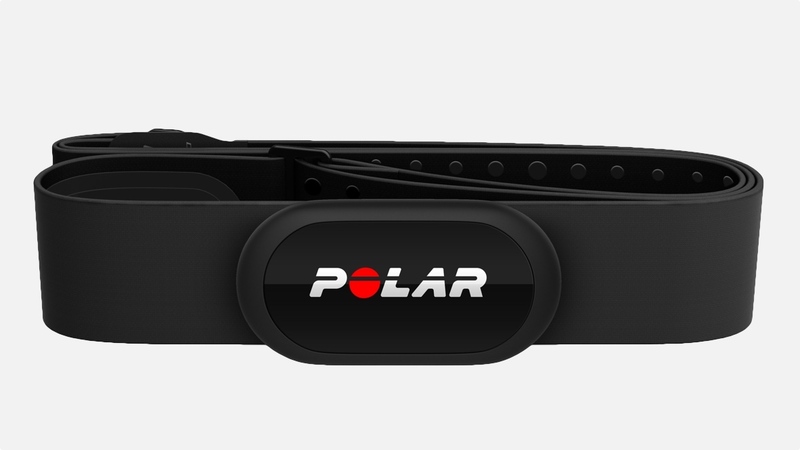 Polar has also added silicone friction dots to help keep the strap in place, and onboard memory to store one training session - so make sure you sync before the next one. Along with the promise of more accurate data, the H10 will also play nice with the GoPro Hero5 and Hero4 cameras, letting you see heart rate and training overlaid on your GoPro vids. Polar promises the feature will be available later this quarter. Polar also recently rolled out an update to the V800 sports watch that lets users control their GoPro Hero4 from the wrist, with support for the Hero5 to follow. The feature is also heading to Polar's M600 sports watch soon, the company promises. We've found the H7 to be one of the most accurate heart rate monitors we've used, and it's become our go-to device for testing wrist-based heart rate trackers from the likes of Fitbit and Garmin against. Especially for high intensity training. The Polar H10 works with iOS and Android, a host of fitness apps and compatible gym devices. We'll be getting one to try out very soon to let you know if it still delivers the goods.